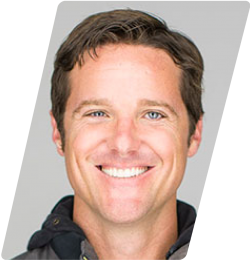 Today, I’m excited to share with you a conversation with Jason Russell. Jason is the co-founder of Invisible Children as well as a film director and activist. He is well known for his short film titled Kony 2012 that totaled over 100 million views on YouTube in less than one week. Jason will also be a speaker at our upcoming National Leadership Forum 2017. Here are some highlights from our conversation. 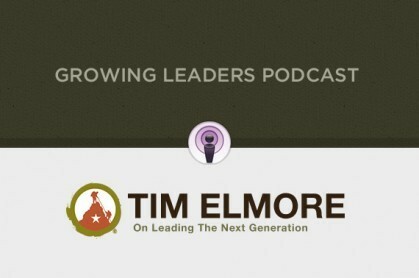 Tim Elmore: Would you mind talking a little bit about your college life and what you decided to do right after college and how that started this movement track? Jason Russell: I was really fortunate that my dad had a vision to bring theater arts— including dance, music, and drama—to young people. So I first fell in love with stories, storytelling, and characters at an early age. By the time I was twelve, when you first met me, I had countless hours of theater experience. I realized at that young age that movies could actually do the same thing that theater does—in terms of moving people and showing them new insights. I committed myself to going to film school and I wanted to go to the best film school—University of Southern California. I applied multiple times until I finally was accepted. That’s when I really learned the art of filmmaking and first thought I was going to be a part of Hollywood musicals. But instead, I found a deep desire to go to Africa. I started off thinking I was going to make one documentary, but it ended up being twelve years of my life. That’s how Invisible Children really came about. Now our mission is to end violence and exploitation facing the world’s most isolated and vulnerable communities. Tim: Amazing. I’ve heard you tell this story several times and I think it really shows the evolution of a vision. What do you think it was about that story and video that sparked so much attention and action in the emerging generation? Jason: What I think that it comes down to is a word that’s used a lot—authenticity. We weren’t being funded by any church or company; it was built truly off of donations and people knew that. We could tell any story that we felt we needed to tell because it wasn’t brought to you by CBS or CNN. There was an authenticity to young people saying these guys are for real; they really think this violence and exploitation should come to an end and that this is a great justice of our time. United Nations at the time called the work of Joseph Kony and the Lord’s Resistance Army “the most forgotten and neglected humanitarian crisis in the world” back in 2003. We just felt that telling as many people as possible was our job. We never thought we would start a nonprofit or pass a bill through congress. You can try to muster up a movement, but an authentic movement happens because of this deep desire underneath the ground that bubbles up with everyone wanting to participate at some level. Tim: I love that. It’s something you don’t even really plan; it’s something where you’re committed to right a wrong and it becomes a collection of people that get on board. Because you are a mobilizer, and because you are someone who intuitively understands the heart of the younger human spirit, I really admire your wisdom. Would you give any advice to a teacher, coach, or youth worker that might be listening that is dumbfounded with kids who are disengaged? What is one step they can take to light a fire underneath the young people around them? Jason: One idea comes from one of my friends and mentors, Bob Goff. It’s just about being available. This idea that you’re available is kind of groundbreaking, especially to young people. Bob Goff gives out his cell phone to millions of people so they call him and he actually picks up. He says, “I just want people to know I’m there and that they can call me if they need to.” If you’re a coach, teacher, or youth worker, then just being available for these young people is groundbreaking. The other thing I would add on is whatever you think, think the opposite. That’s going to go a long way with young people. For example, if you’re supposed to teach in the classroom, go out on the grass and form a circle. If you’re supposed to read a section of the book, play a movie and then create a metaphor around that dialog of what you’re supposed to learn. That’s really going to wake up kids in terms of seeing the way the world is supposed to be—and then having them realize it doesn’t have to be that way . . . and they can change it. They can be a part of that change. I hope you take time during your commute to listen to the whole conversation. Click below to listen to the full discussion. Want More From Jason Russell? Gain an understanding of the trademarks of Generation Z. Adopt an educated plan for pedagogy to connect with teens today. 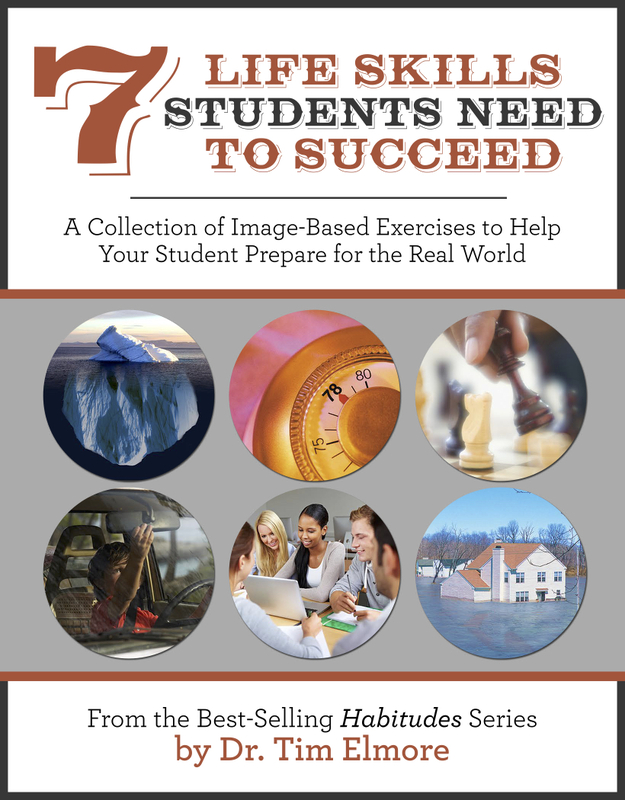 Enable students to practice metacognition, allowing them to own their learning. Motivate young adults, enabling them to cultivate aspirations. Prepare for where student engagement and education is heading in the future.